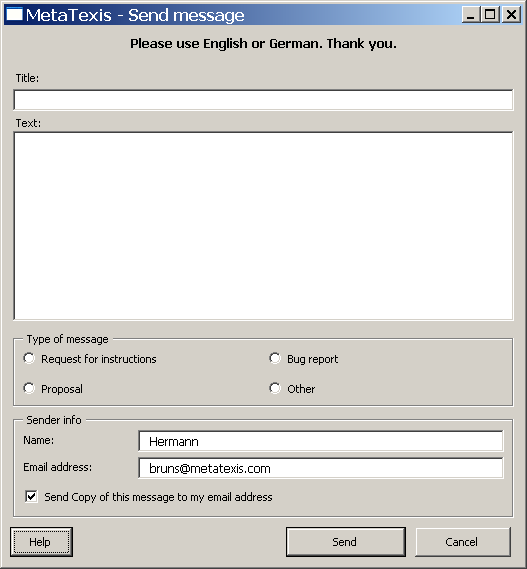 Enter the title and the text of the message, select the message type and enter the email address. To finish, click the Send button. The message will then be transferred to the MetaTexis Server, and to the MetaTexis support. If the Send copy of this message to my email address checkbox is active, you will receive a copy of the email message sent.